Him with his Foot in his Mouth first appeared in The Atlantic Monthly for November 1982. 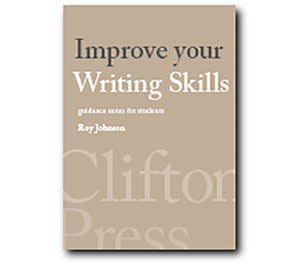 It is currently published with four other stories in a collection of the same name. The other stories are What Kind of Day Did You Have?, A Silver Dish, Cousins, and Zetland: By a Character Witness. The surface detail of the story is Herschel Shawmut’s irrepressible urge to puncture pretentiousness and boredom with his insulting put-downs. Most of his victims deserve their fate. It is significant that the one person who doesn’t is the spinsterish librarian to whom he is writing with an apology. Yet beneath this tragi-comic character sketch there are a number of serious social themes at work. Number one is Shawmut’s identity as a Jew in modern America. 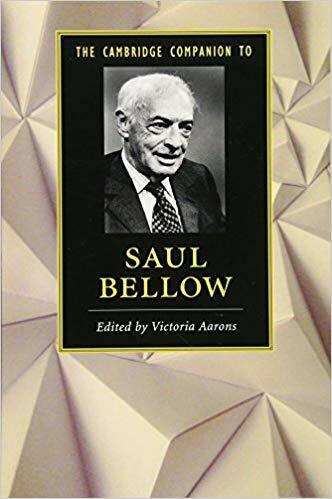 He is the son of Russian immigrants (as was Saul Bellow) and he has grown up with close ties to his family. He visits his dementia-stricken mother in a nursing home, and doesn’t resent the fact that she fails to recognise him, but talks admiringly of his rich brother Philip, who has recently plunged Herschel into debt with a crooked business scheme. Philip has severed all his emotional ties with family and has assimilated with modern America by joining the worst excesses of dog-eat-dog capitalism. He is vulgar, wealthy, corrupt, and has a ‘perfect’ (perfectly horrendous) wife who breeds vicious pit-bull terriers. Herschel Schawmut is qualified to fit into the intellectual milieu of college and university teaching that he inhabits. He has written a best-selling textbook on musical appreciation, and he conducts performances of classical music on television programs. But he feels himself an outsider, and his imaginative sympathies keep being drawn back to his early days as an immigrant. This is a theme Bellow had explored extensively in his earlier novel Humboldt’s Gift (1975) and he was to return to later in The Bellarosa Connection (1989). This piece could be considered as a long story or a short novella. Bellow was fond of both literary genres. But there are a number of arguments for classifying it as a novella. The strongest of these is the fact of there being so many unifying literary elements in the work. Everything is mediated through the perspective of one character – Shawmut himself as first-person narrator. It has his anti-social joking as a recurrent theme and the initiating purpose in the plot – his letter of apology and explanation to Clara Rose.. It deals with his increasing sense of alienation – ending logically enough in his exile across the Canadian border, with the police at his heels. It has a number of other characters – but they all function as fictional entities in relation to Shawmut himself. It’s true that the story does not have any strict unity of place – but none of the locations are imaginatively developed, nor do they have any special bearing on the events of the narrative. 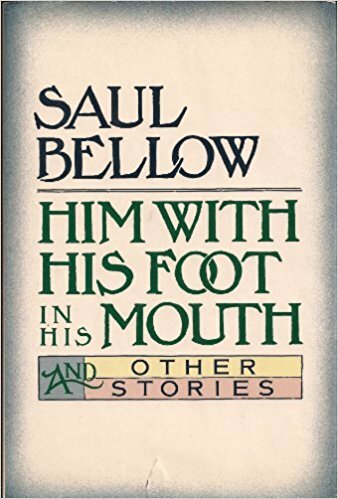 Crooked businessmen and rapacious lawyers are recurrent figures in Bellow’s fiction – but so too are best friends who turn out to be Judas-characters, and even brothers who cheat members of their own family. Philip Shawmut, Herschel’s bother, claims to be a successful businessman – but his success is built on corruption and illegality. When he learns that Herschel has spare money, he relieves him of it, claiming it is going into a scheme reclaiming spare parts from accident-wrecked motor vehicles. The scheme is in fact a cover for stolen luxury cars that are being cannibalised for parts in short supply. And the money invested goes straight to the account of Philip’s wife. When the business is exposed as fraudulent and Philip dies, Herschel is left as legal director with a mountain of debt. It is not surprising that Bellow works into the narrative references to Balzac’s Cousin Bette and Cousin Pons – both of them novels that concern betrayal by relatives and instances of the greed to acquire someone else’s wealth. For good measure he also includes mention of King Lear. Herschel is befriended by Eddie Walish in his early days as a teacher of music, but the same friend sends him a comprehensive account of all his personal weaknesses and faults thirty-five years later. The message is quite plain: you can’t trust anybody. And you certainly cannot trust lawyers, who not only give you bad advice and present enormous bills for their services, but also squeeze you for special favours. Herschel Shawmut is writing to retired librarian Carla Rose to apologise for an offensive quip he made at her expense thirty-five years previously. He recalls his early days at the college where they both worked. He was befriended by Eddie Walish who has recently written him a letter listing all his faults – one of which is his habit of insulting people with cruel one-liner put-downs. Shawmut is writing from retreat in Vancouver, British Columbia where he is hiding ‘on legal advice’. He has alienated himself from local intellectual society by his gaucheness and his put-downs. He explains his ambiguous relationship with America as a Jew and a feeling of being an outsider. He writes approvingly of the radical Jewish and homosexual poet Alan Ginsburg as a similar character. Despite his self-awareness he continues to make amusing but socially disruptive remarks amongst his university colleagues and their wives. He has been swindled by his rich brother Philip and has employed lawyers to fight the case. His brother is a ‘creative businessman’ with whom he has invested money, largely for sentimental reasons of family loyalty. The money has been used in illegal land deals, and following Philip’s death Shawmut is responsible for the company’s debts. He appoints his brother-in-law Hansl Genauer as legal advisor and absconds to Canada to avoid prosecution. Shawmut visits his mother in a nursing home, but she does not recognise him. Genauer tries to gain control of his money, and then extracts favours from him. But Shawmut then insults a rich woman Genauer wishes to marry. In the end, Shawmut is in complete retreat in Vancouver, expecting the US authorities to arrive at any time to arrest him.